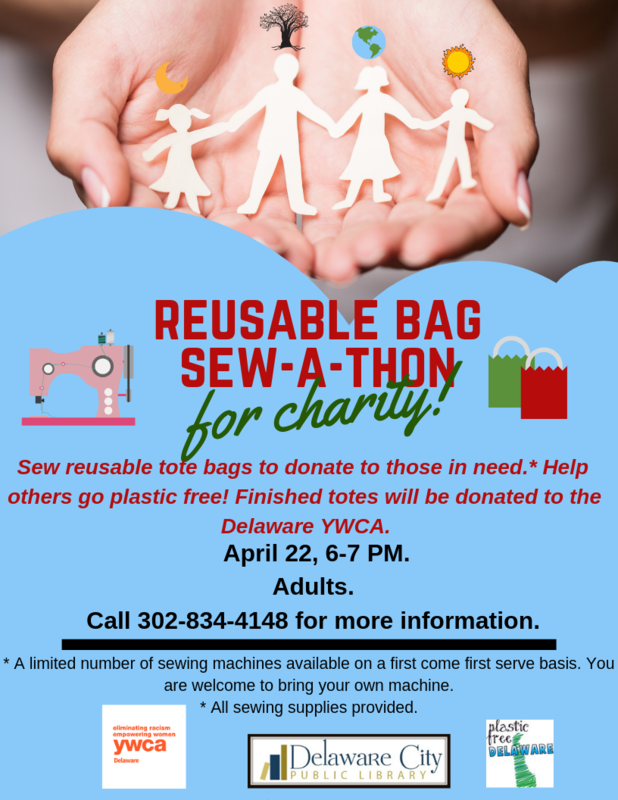 Honor Earth Day by sewing reusable bags to donate to charity. Help those who can’t afford to replace plastic shopping bags break their dependence on plastic. Sewing machines and supplies provided. Those who have their own machines may bring them to the program. Finished bags will be donated to the YWCA.